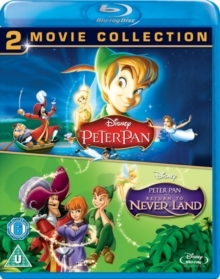 Two-movie collection featuring Disney's classic animated version of the fairy tale and the 2015 live action adaptation. 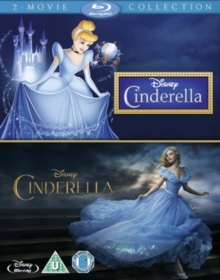 In 'Cinderella' (1950), enslaved by her stepmother and two ugly sisters, the beautiful Cinderella (voice of Ilene Woods) seems destined to miss the glittering party at which the Prince (William Phipps) will choose his bride. 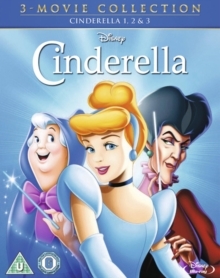 However, a magical makeover courtesy of her Fairy Godmother (Verna Felton) gets her to the ball on time and Cinderella begins to cast her own spell on the Prince. Directed by Kenneth Branagh, 'Cinderella' (2015), stars Lily James as the eponymous character alongside an all-star cast including Richard Madden, Cate Blanchett and Helena Bonham Carter. 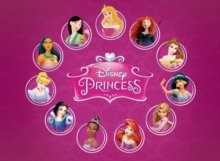 When her widowed father remarries to Lady Tremaine (Blanchett), Ella (James) does her best to be welcoming to her stepmother and her new stepsisters Anastasia (Holliday Grainger) and Drizella (Sophie McShera). 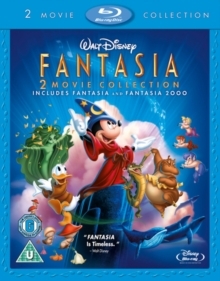 However, after the unexpected death of her father, Ella finds herself being mistreated by Lady Tremaine and her daughters, forced to be a servant and nicknamed 'Cinderella'. One day in the woods she encounters a handsome stranger and believes him to work in the Palace, not realising he is in fact Prince Charming (Madden). Ella's household receives an invitation to a royal ball and Ella hopes she will get the chance to see the young man again. When Lady Tremaine refuses to let her attend the ball, a friendly fairy (Bonham Carter) steps in to lend a helping hand.